Harry enlisted on 10th December 1915. He was 26 years and 11 months old; was a labourer by trade; and was living at 18 Back Gladstone Street, Westborough, Dewsbury. He embarked at Southampton on 26th July 1916, then disemarking the next day at Rouen he entered the war in France on 27th July 1916. 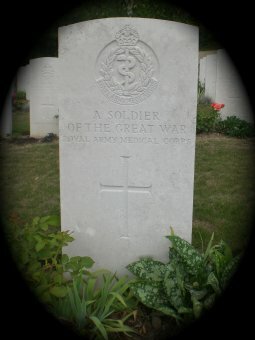 He was posted to serve with the 106th Field Ambulance, in the field, on 1st August 1916. Harry was the son of Frank and Sarah Stradling of the same address as above.